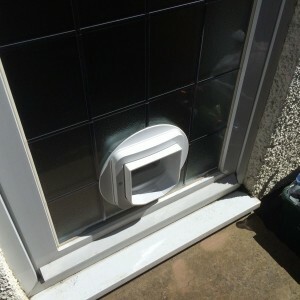 Comments: As we now have a cat, I needed to have a cat flap fitted. 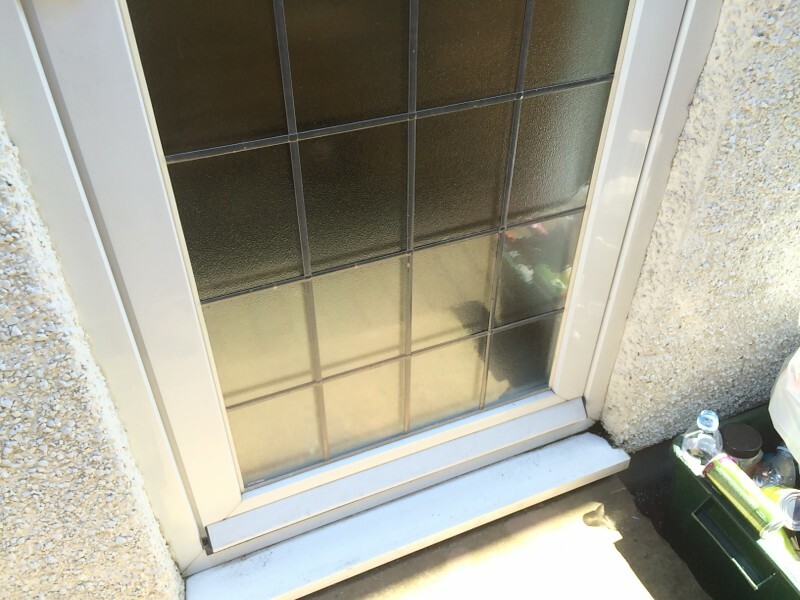 I saw 1st Call Glazing’s advert in our local Village Voice booklet, so gave them a call. 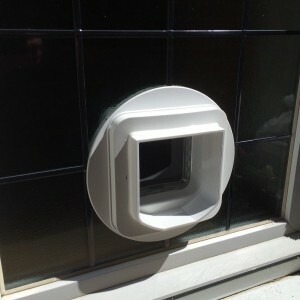 Dave popped round and was very helpful, he explained the different types of cat flaps that were available on the market and where the cat flap could be fitted. 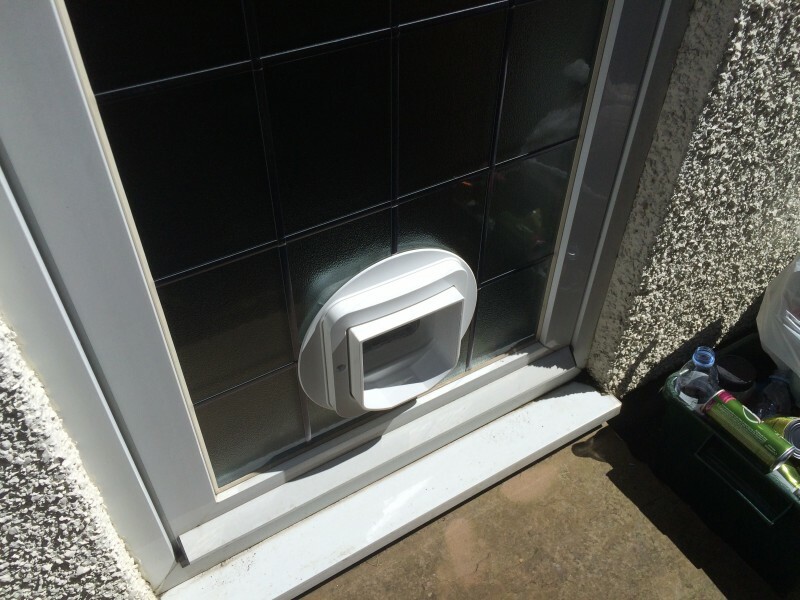 The only option seemed to be fitting it through the double glazed unit in our back door, however I was concerned that it couldn’t be done as the existing glass unit had obscure glass and leads fitted to the glass. 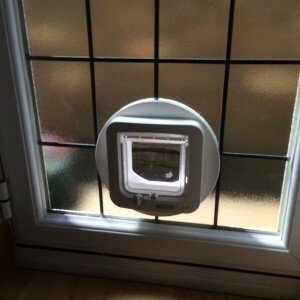 Dave assured me that it wouldn’t be a problem and a new unit could be made with a hole for a cat flap, with exactly the same design of glass and leads. 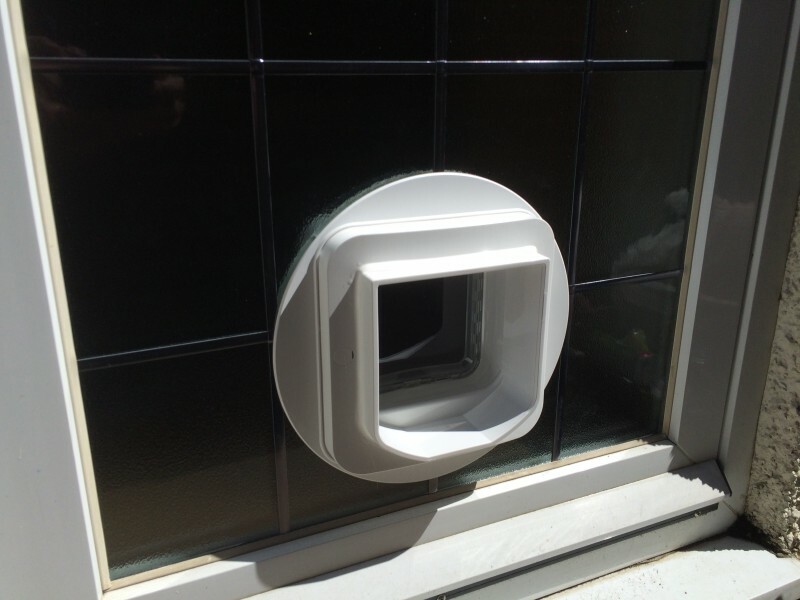 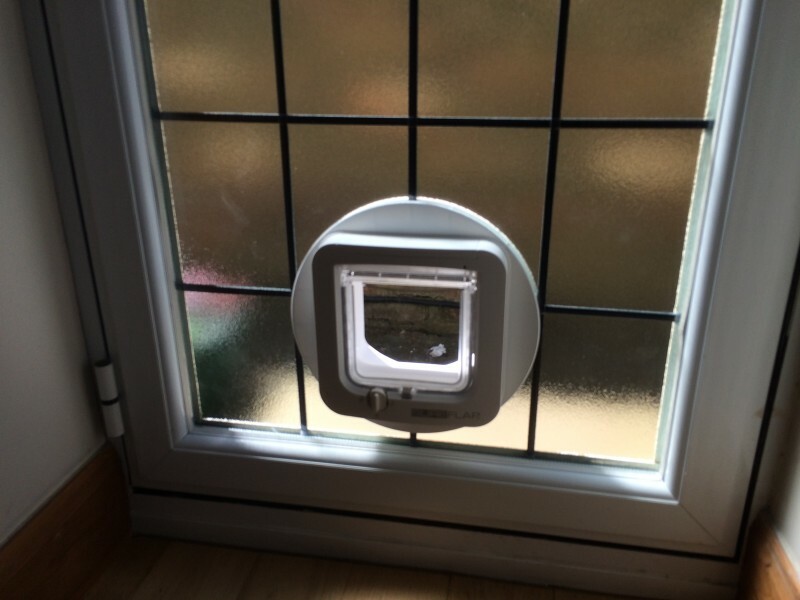 A new unit was fitted about a week later, with a new microchip cat flap. 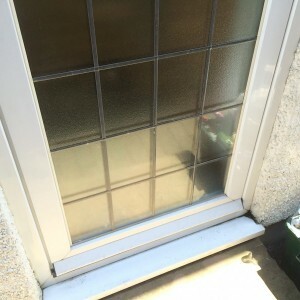 I would definitely recommend 1st Call Glazing as there service was excellent and also nice to use a reliable local company.